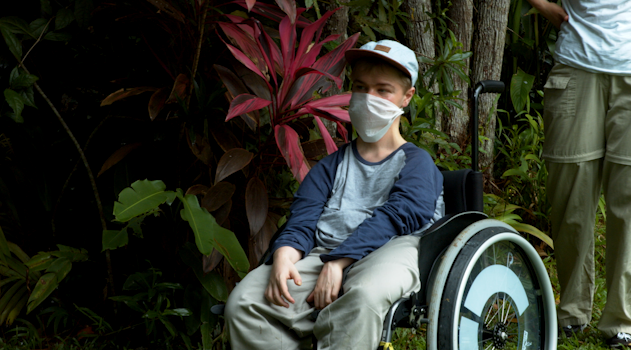 While we were filming in Borneo last April with Dr. Willie Smits, we had the privilege of meeting an extraordinary young man named Benni Over and his wonderful family! Benni who has Duchenne Muscular Dystropy, didn't let that stop him. 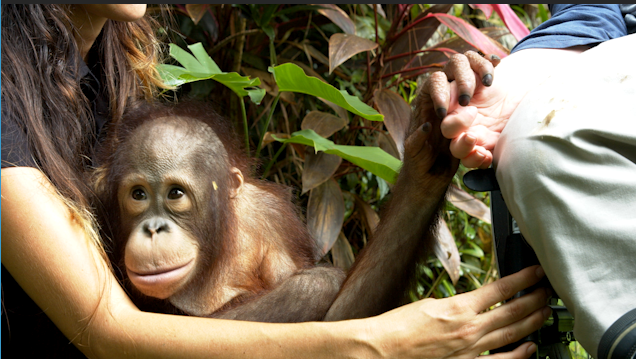 With his caring family by his side Benni was able to fulfill a life's dream to meet and interact with orangutans. We certainly shared that dream with him too! It was a very special day when the baby orangutans were placed on his lap as he sat in his wheelchair. We were so touched to witness Benni's caring family help make this a reality for him. Benni had already spent many years helping orangutans from his home in Germany. Benni's father gave us his video highlighting his call to action for orangutans that are under siege by the palm oil industry. Today we have learned that although Benni has been hospitalized with complications from the disease, he is going to be heading home soon. We would like to wish Benni and his family the very best! Thank you Benni for touching all of our lives.